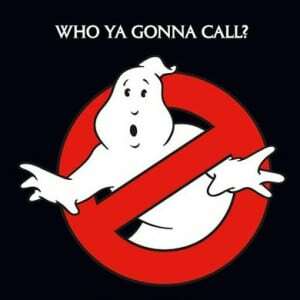 Who You Gonna Call if Your House is Haunted? Whaley House– Located in San Diego, this home has been called “the most haunted house in America” after a series of tragic events took place there. It was built in the mid-1800’s and is thought to have been haunted since day one. It’s most famous ghost is “Yankee Jim” Robinson who was hanged on the grounds prior to the construction of the home. Other spirits that are believed to have taken up residency include multiple members of the Whaley family as well as some of their beloved pets. Visitors often report hearing footsteps on the second floor, taking in weird smells, and just experiencing an overall sense of uneasiness. Luckily this home has since been turned into a museum owned by the County of San Diego and run by a non-profit organization. The Amityville House– Yes, that We’re all familiar with the popular horror movie based on this famous home in New York, but do you know the real story behind it? Six members of the DeFeo family were savagely murdered in the middle of the night by one of the DeFeo sons (who to this day is still serving time in prison). The home was then sold to the Lutz family about a year after the murders and that’s when the unusual activity started. The Lutz family supposedly smelled many foul odors, heard strange noises including gunshots, and one of their small children even had an imaginary friend eerily similar to one of the deceased DeFeo children. It was supposedly so bad that they fled the home within a month! The home has since been occupied by a variety of other owners with varying accounts of paranormal activity. Can you believe this home recently sold for $950,000? Joshua Ward House– Found in one of the United States’ most haunted cities, Salem, Massachusetts, this home is the site of over 19 deaths of those accused and tried during the Salem Witch Trials. The three-story home was built on land formerly belonging to Sheriff George “the Strangler” Corwin. He is best known for being a cruel, sadistic law man and witch hunter who was responsible for many deaths during his time as sheriff. When he died in 1697, he was buried in the basement of the home and remained there until being moved to a nearby cemetery years later, but many still believe he haunts the home to this day. Visitors often recount details of three particular ghosts: one that chokes you (thought to be the Sheriff George Corwin himself), Giles Corey (a man tortured and killed by George Corwin) that creates chaos around the home, and an angry woman put to death because she was thought to be a witch. This home was most recently listed for $900,000… Seems like a high price to pay for some scary roommates! So, would you let funny noises, seeing shadows, flickering lights, moving objects, or a general unnerving feeling stop you from purchasing a particular home? If you said yes, then you’re not alone. According to a poll on realtor.com, over 65% of people would not buy a home they believed to be haunted. The tricky part in that is that many states do not require sellers to disclose this information unless asked (Georgia included)! You may just have to trust your gut on this one and see if you pick up a creepy vibe while viewing a home. And for those of you with a really morbid sense of curiosity, have you heard about the website www.diedinhouse.com? Yep, you can actually plug in your address to see if anybody has died on the property, any fires have ever been reported, and much more! Be careful what you wish for though! Last, but not least, if you unfortunately find your property to be haunted and need to move, The Peters Company would be happy to help you find your next home! We may not be Ghost Hunters or even Ghostbusters, but we do have an excellent track record of helping buyers find wonderful (non-haunted) homes! Give us a call today at 404-419-3619! Happy Halloween!